The production version of Renault’s pretty Zoe ZE electric supermini will be one of the cheapest EVs available when it reaches UK showrooms later this year. Prices will start at £13,650 plus an additional £70 per month to lease the car’s battery. Unveiled yesterday at the Geneva Motor Show, the Zoe ZE is propelled by a 65kW (87bhp) electric motor, with peak torque rated at 220Nm. Acceleration times and overall weight haven’t been revealed, but it will no doubt feel quite perky on urban roads. There’s no gearbox, and the 290kg, 22kWh lithium-ion battery lives under the cabin floor, yielding plenty of luggage space for a car of its size. Renault says range works out at 130 miles between charges under the NEDC test, but it cautions that the real-world limit will be about 60 miles in cold weather and 90 miles in warmer conditions. Top speed is restricted to 84mph in aid of greater range. When the Zoe ZE is on the move at less than 18mph, it will warn pedestrians with a “ZE Voice” warning sound. The driver can choose between three different noises, or indeed turn it off if they find it annoying. The car includes a selection of features that Renault has dubbed Range OptimiZEr, a wince-inducing reference to eco tyres, improved regenerative braking and highly efficient heating. 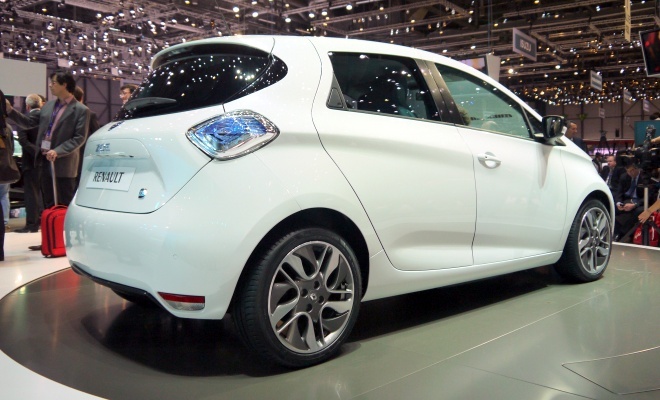 Tyres first: Michelin Energy E-V rubber will be fitted to the Zoe ZE as standard in either 15 or 16 inch diameter. The compound, tread design and sidewall springiness have all been chosen specifically for the unusual demands presented by EVs, namely high torque and low rolling resistance. Renault is less clear when describing its new intelligent regenerative braking, which it seems is able to vary the balance of regeneration and mechanical braking depending on the circumstances, to try to recapture as much energy as possible. Attempts to cut the electrical drain of the cabin heater are a little harder to grasp. Like many other plug-in cars, the Zoe ZE can pre-condition its interior while still plugged into the mains, to preserve limited battery charge. On the move, though, Zoe can summon up as much as 3kW of warmth for every 1kW of energy taken from the battery. No, Renault’s engineers haven’t defied the laws of physics and nor have they fitted a wood-burning stove. They’ve used a heat pump – a machine that works exactly like an air conditioner in reverse. Heat pumps are more complex and more expensive than an ordinary electric heater, but when your energy supply is limited they are a great choice. A heat pump seems to get energy for nothing because it borrows heat from the cold air outside the car. It sounds counter-intuitive, but the key is to realise that even if it’s a bone-rattling -10°C outside, the air still holds more energy than it would if it were -20°C. Heat pumps take some of that latent energy to make it warmer inside and ever so slightly colder outside. The end result is more heat for your money. Heat pumps are so similar to air-conditioners that it’s likely Renault has been able to make double use of core components to save costs. Essentially the same kit could keep you warm in winter and cool in summer. Which is clever. 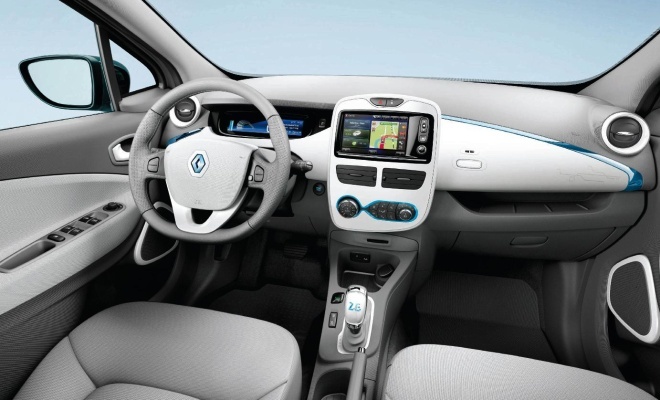 Renault has also developed what it thinks is the smartest on-board battery charging system fitted to any EV. Called the Chameleon charger, it can work with electricity supplied at a very wide variety of wattages. At the low end, a full charge from an ordinary household socket might take nine hours. 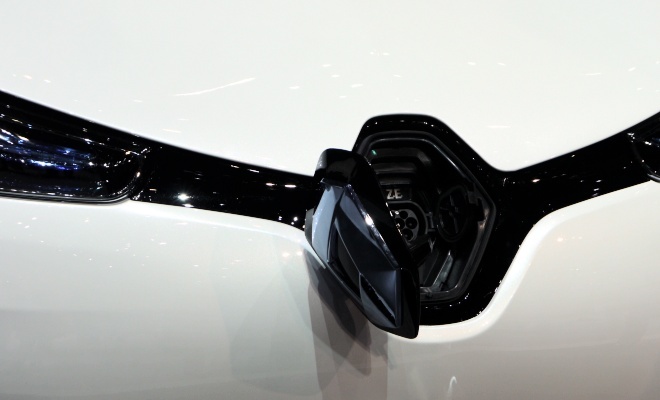 At the other, 43kW charging will take just 30 minutes. 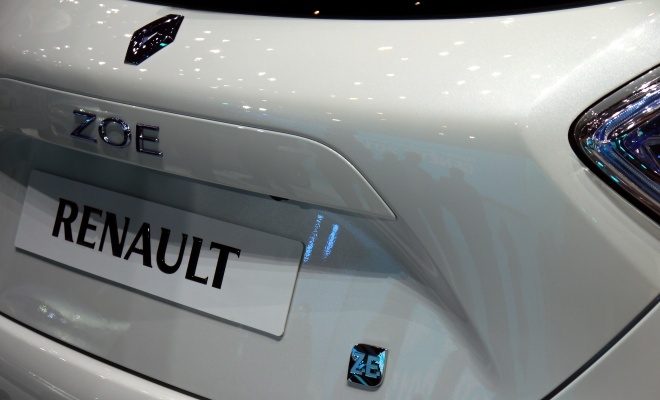 By making the on-board system capable of dealing with such a wide range of inputs, Renault hopes to quarter the cost of installing high-power, fast charging units. That should be good news for their proliferation in Renault dealerships if nowhere else. And since you lease the battery, as a driver you don’t have to worry about high currents damaging the cells. That’s Renault’s problem. The starting price of £13,650 buys the electric car in basic “Life” trim, while stepping up to “Zen” or “Intens” trim costs an additional £1,100 and brings a reversing camera, 16-inch alloys rather than 15-inch steelies, electric rear as well as front windows, improved upholstery and an audio upgrade. Nicer paint and 17-inch wheels cost extra, while all cars get Bluetooth, hill hold, an ESP stability system, cruise control, aircon and a full set of airbags as standard. 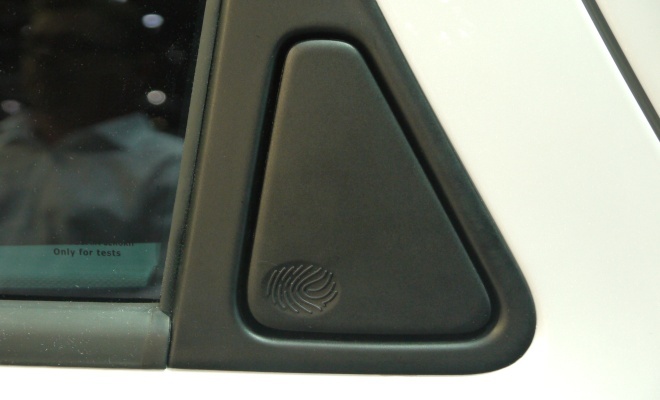 Renault will also fit its brand new R-Link multimedia system across the range, featuring a seven-inch touch screen in the centre console, backed up by a selection of online services including up-to-date charging point locations. More details are available via the Renault ZE website, where you can also now pre-order a Zoe ZE ahead of the first deliveries later this year. 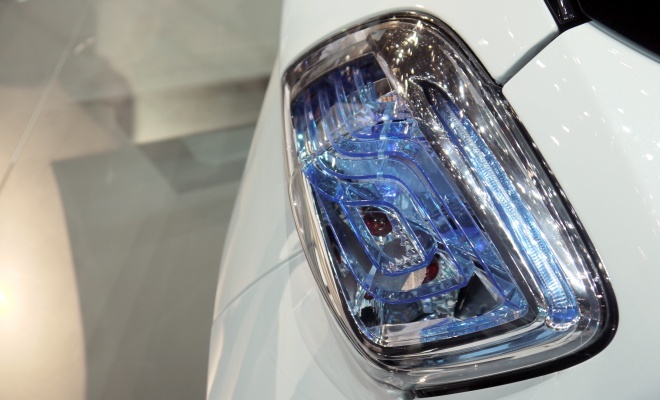 Prices include a government contribution of 25% through the plug-in car grant scheme. 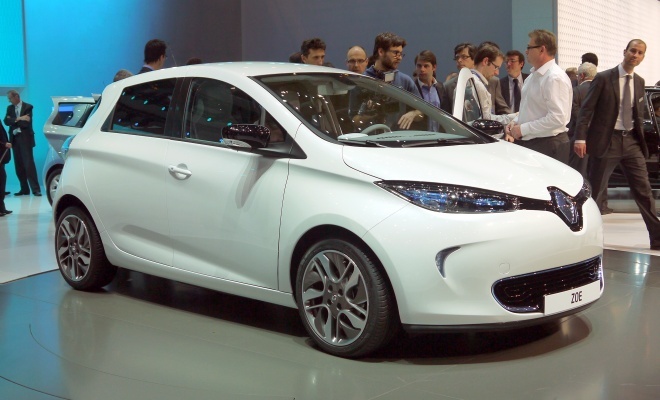 The handout will be lower than the often quoted £5,000 because the Zoe ZE’s list price is less than £20,000.